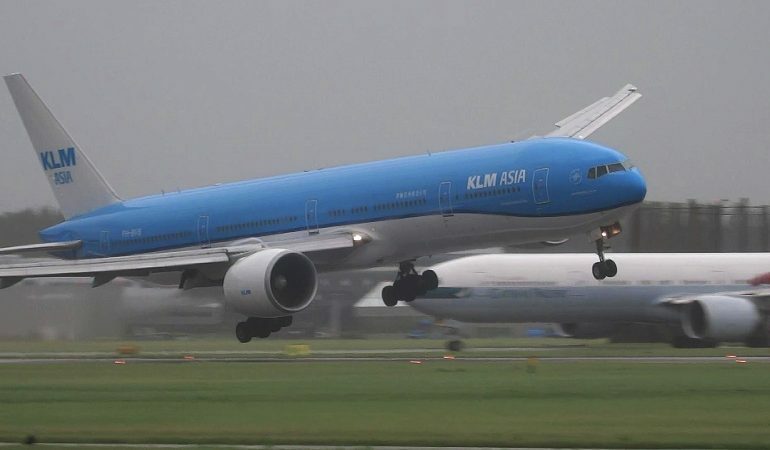 KLM Boeing 777 approaches the landing strip rather rough due to a giant storm. The plane starts to roll from left to right aggressively. Just before the plane is about to touch down on the runway it rolls dangerously to the right. I think this pilot handled this situation pretty well, honestly, I would’ve crapped my pants if I was flying and this happened! Crazy Drag Diesel Dragster 140 lbs of BOOST!! !